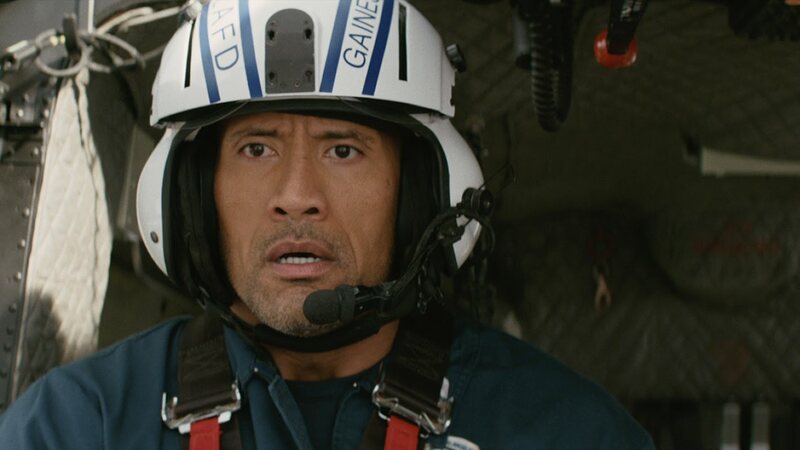 Podcast host Steve Norman has been to see the latest disaster film starring the Rock and picks the faults with San Andreas. Disaster films often disappoint. While the likes of Twister, Volcano, 2012 and The Day After Tomorrow portray the worst kinds of weather and natural disasters they make the viewer experience the same kind of peril that standing in a puddle would. In fact the only ‘disaster movie’ of any note is Impossible, the movie starring Ewan McGregor and based on the real story of a family caught up in the 2006 Boxing Day Tsunami in Asia but of course this is very different to the Hollywood bombastic blockbusters. Across the board these movies fail with boring plots, over the top CGI and dull performances from the cast. San Andreas matches those movies almost step for step. You have a protagonist from a broken family, a child in trouble, a dickhead who gets his comeuppance and some (probably, I’m no seismologist) awful, awful science, although not as awful as 2012’s mutating neutrinos. In fact the only thing that pulls this film into watchable-yet-forgettable territory, instead of the disappointing-and-forgettable area, is Dwayne ‘The Rock’ Johnson (I’m not sure which he wants to go by so I hedged my bets). He has the charisma that Dennis Quaid lacked in TDAT and is far more believable in the role of leading action hero than John Cusack in 2012. The Rock is exactly the kind of person you want at the helm here. He is toned down from the almost cartoonish character he plays in the Fast and Furious franchise but still an all-out action hero. Other than the Rock, there aren’t many positives. However, the special effects and set pieces are spectacular and exciting. The negatives are in abundance though. Despite the mass destruction, you never feel that the central cast are in any real danger and the story meanders at a very predictable pace. You also have Paul Giamatti playing the scientist guy. He seems a bit out of place; comes across as if he’s phoning in his performance. Giamatti just doesn’t seem to commit to the role. He and his band of science people have come up with a way of predicting earthquakes and are annoyed when people don’t listen to them despite them having come up with their new hypothesis one day before the proverbial hits the fan and they probably haven’t even put the results in to report form yet. We have two English brothers who have the most annoying, over the top – and in the case of the Australian playing the older brother – fake accents. In fact, other than the Rock trying to find his daughter, and his daughter trying to be found, all other characters are pretty irrelevant to the plot. Oh, and there’s a fleeting appearance from Kylie Minouge. And the ending. Oh my god. Such American patriotic bilge. This may not have been appropriate. San Andreas is decent in the switch your brain off and watch some over the top action kind of way but it is ultimately instantly forgettable and they only time you’re likely to watch it again is when it becomes one of those films that ITV 2 repeat three times a week and you have spent the last hour indecisively flicking through Netflix. And you will be able to hear Steve talk about San Andreas on the next episode of the Failed Critics Podcast.